This training sword and Dagger set known as, Espada Y Daga are both made from a very high density polymer that can take a LOT of abuse and never break. 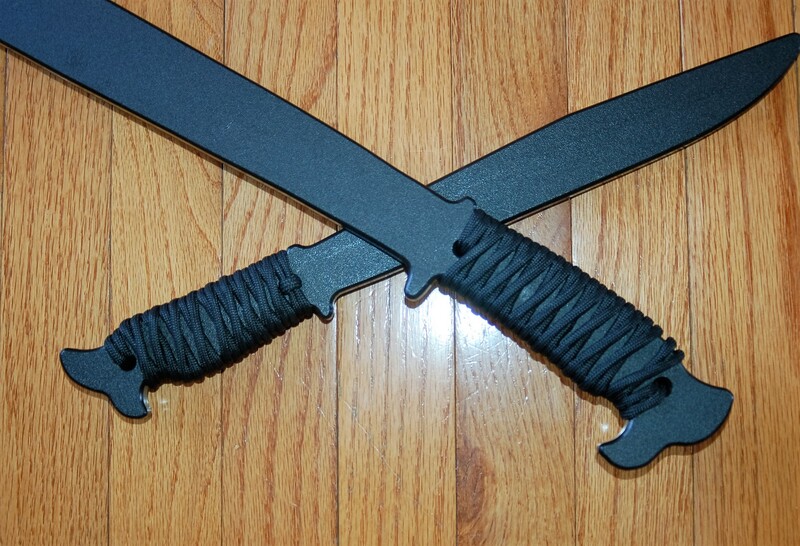 The cord wrapped handles feel very comfortable while working with this sword and dagger set. This set is very comfortable in heavy training and drilling. They are training replicas of the real razor sharp TFW Espada Y Daga so the feel will pretty much be the same while wielding them. 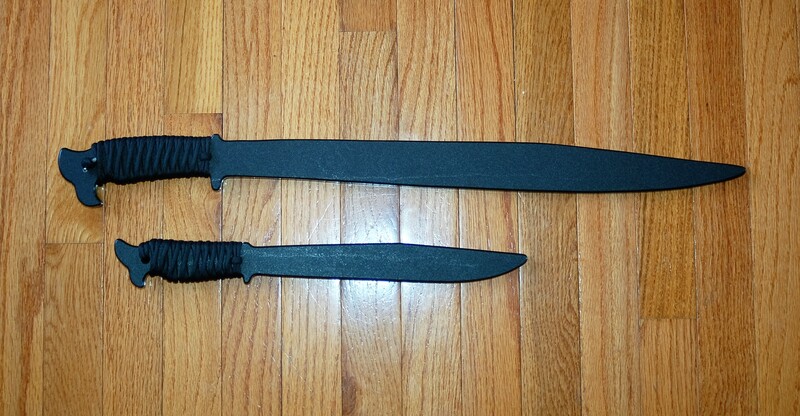 You can use just the knife, just the sword or use the complete Espada Y Daga set for training some self defense tactics or for drilling your style of Kali/Arnis/Eskrima. 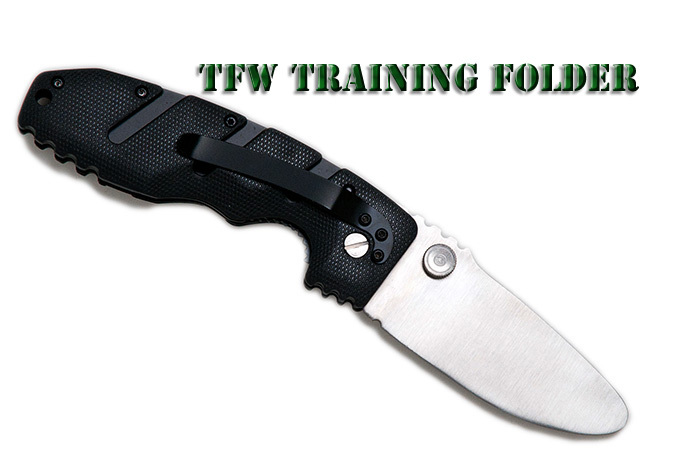 For a nice affordable sword set for training purposes, these are well worth it.